With a trajectory of over 10 years, Tatuy Televisión Comunistaria is a reference in Venezuela and abroad, producing a variety of content which is essential for everyone looking to understand and follow events in Venezuela. 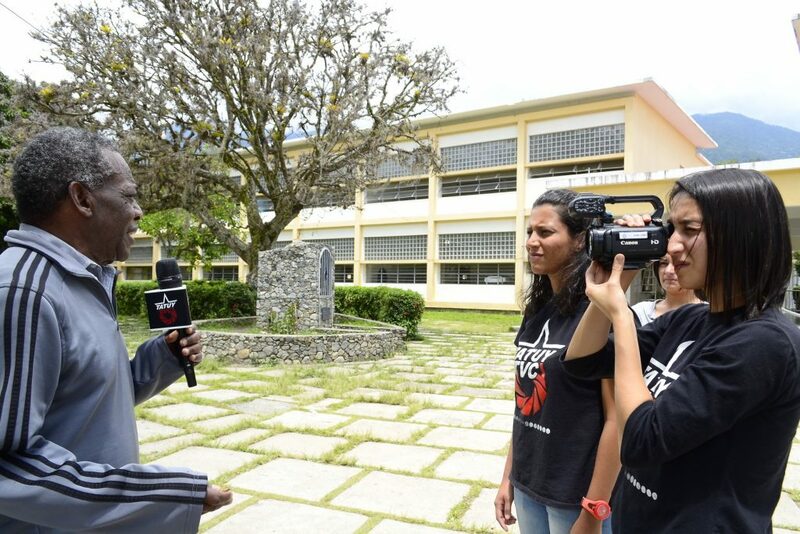 In this interview we talked to two of its members, Juan Lenzo and Iris Rodríguez, about the history of Tatuy TV, how it’s organized, how they see the role of community media in the context of the Bolivarian Revolution. 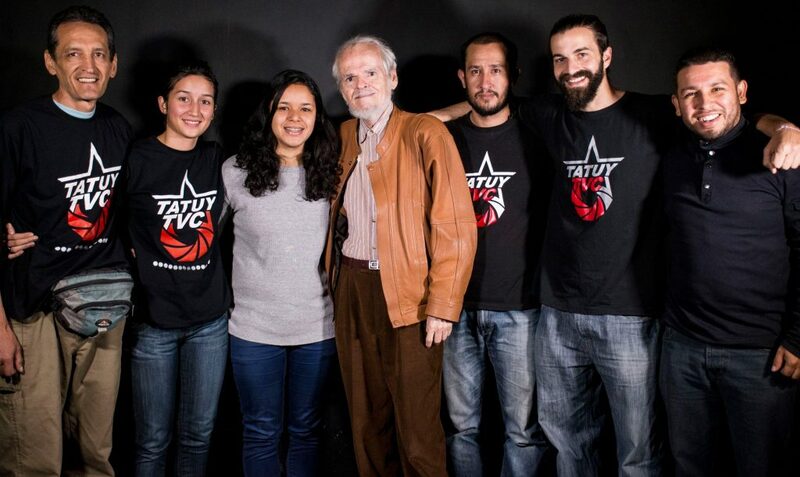 We also talked about the series “Chávez the Radical”, one of the more recent projects by Tatuy TV. Tatuy TV recently celebrated its 10th anniversary. How did it all begin? What did we do between 2007 and 2012? Normally a TV station that’s not on the air doesn’t do much. But we had a lot to do! First of all we had to train ourselves, both in terms of the technical aspects and the conceptual, political/ideological ones. We also went on with the cine-foro activities, interacting with communities, taking part in community and political organization tasks, as well as gearing up for what was coming once the station was up and running. (1) This political term refers to the sentence “everything needs to change, so everything can stay the same” said by one of the characters of Giuseppe Tomasi di Lampedusa’s book “The Leopard”, later made into a film. In a revolutionary context this reference is targeted at those that only look to make superficial changes, leaving the existing power structures untouched.